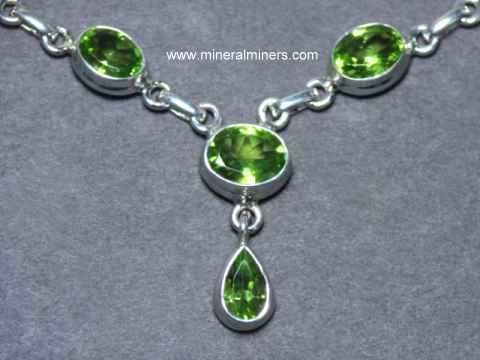 Try our Genuine Peridot Pendants & Jewelry Satisfaction Guarantee - compare our prices and our superior quality. 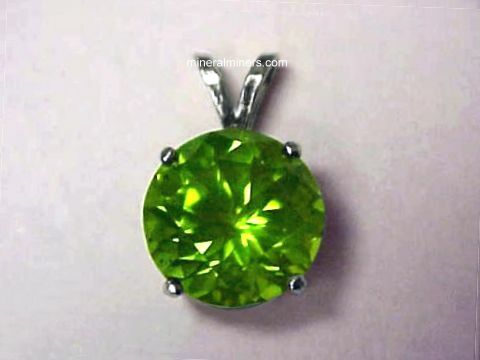 Click on any natural peridot pendant or jewelry image below to enlarge it. This 925 sterling silver peridot pendant is set with a 2.60 carat natural peridot faceted gemstone. The gem in this beautiful San Carlos peridot pendant is completely natural - it has not been heated or treated in any way. This lightly included peridot gem has good brilliance. It was faceted from natural peridot rough that was mined on the San Carlos Indian Reservation, Arizona, USA. This natural peridot gem has faintly visible natural inclusions (GIA: Type II Gem, Clarity Grade: SI). See also a side view photo of this San Carlos peridot jewelry design. This 925 sterling silver peridot pendant is set with a 3.10 carat natural peridot faceted gemstone. The gem in this beautiful San Carlos peridot necklace design is completely natural - it was not heated or treated in any way. This gem is well cut with good brilliance from natural peridot rough that was mined on the San Carlos Indian Reservation, Arizona, USA. This natural peridot gem has faint natural inclusions that are visible only under close inspection (GIA: Type II Gem, Clarity Grade: VS). This 925 sterling silver peridot pendant is bezel set with an open back setting with a 3.20 carat natural peridot faceted gemstone. The gem in this beautiful San Carlos peridot necklace design is completely natural - it was not heated or treated in any way. This gem is very well cut with very good brilliance. It was faceted from natural peridot rough that was found on the San Carlos Indian Reservation, Arizona, USA. This natural peridot gem has fine color with faint natural inclusions that are visible only under close inspection (GIA: Type II Gem, Clarity Grade: VS). See also a side view photo of this San Carlos peridot pendant. This 925 sterling silver peridot pendant is bezel set with an open back setting with a 4.10 carat natural peridot faceted gemstone. The gem in this beautiful San Carlos peridot necklace design is completely natural - it was not heated or treated in any way. This gem is very well cut with very good brilliance. It was faceted from natural peridot rough that was found on the San Carlos Indian Reservation, Arizona, USA. This natural peridot gem has fine color with faint natural inclusions that are visible only under close inspection (GIA: Type II Gem, Clarity Grade: VS). See also a side view photo of this San Carlos peridot pendant. This 925 sterling silver peridot pendant is bezel set with an open back setting with a 3.10 carat natural peridot faceted gemstone. The gem in this beautiful San Carlos peridot necklace design is completely natural - it was not heated or treated in any way. This gem is well cut with good brilliance. It as faceted from natural peridot rough that was found on the San Carlos Indian Reservation, Arizona, USA. 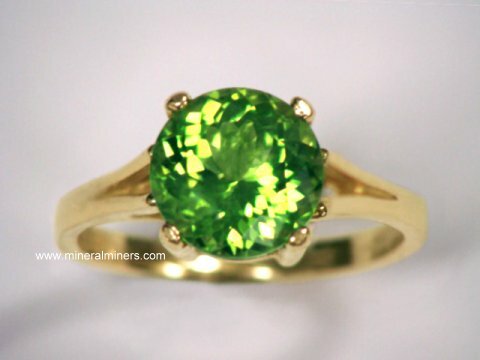 This natural peridot gem has fine color with very faint natural inclusions (GIA: Type II Gem, Clarity Grade: VS/SI). See also a side view photo of this San Carlos peridot pendant. This 925 sterling silver peridot pendant is bezel set with an open back setting with a 4.20 carat natural peridot faceted gemstone. The gem in this beautiful San Carlos peridot necklace design is completely natural - it has not been heated or treated in any way. This lightly included gem is very well cut with good brilliance! It was faceted from natural peridot rough that was found on the San Carlos Indian Reservation, Arizona, USA. This natural peridot gem has very fine color with faintly visible natural inclusions (GIA: Type II Gem, Clarity Grade: SI). See also a side view photo of this San Carlos peridot jewelry design. This 925 sterling silver peridot pendant is set with a 9.90 carat natural peridot faceted gemstone! See also a side view image of this natural peridot jewelry design. The gem in this lovely peridot pendant is completely natural - it has not been heated or treated in any way. This rare size peridot gem is well cut from a natural peridot crystal that was mined in Pakistan. This beautiful peridot gem is lightly included with faintly visible natural inclusions. See also another view of this handcrafted peridot jewelry pendant. This 925 sterling silver peridot pendant is set with a 6.10 carat natural peridot faceted gemstone. The gem in this beautiful San Carlos peridot pendant is completely natural - it has not been heated or treated in any way. This lightly included peridot gem is well cut with good brilliance from natural peridot rough that was mined on the San Carlos Indian Reservation, Arizona, USA. This natural peridot gem has faintly visible natural inclusions (GIA: Type II Gem, Clarity Grade: SI). See also a side view photo of this San Carlos peridot jewelry design. Peridot gem weighs 5.1 carats! This sterling silver peridot pendant is set with a 5.1 carat natural peridot faceted gemstone. The gem in this beautiful peridot pendant design is completely natural - it was not heated or treated in any way. 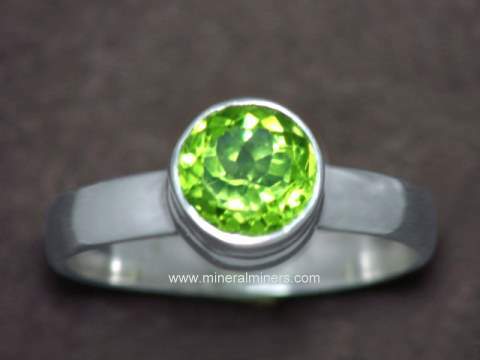 This gem is well cut with good brilliance from natural peridot rough that was mined in Pakistan. This 5.1 carat natural peridot gem faces up clean, with very faint natural inclusions visible only under close inspection! This 14k yellow gold peridot pendant is set with a beautiful trillion cut natural peridot gemstone. It will make a very beautiful peridot necklace! 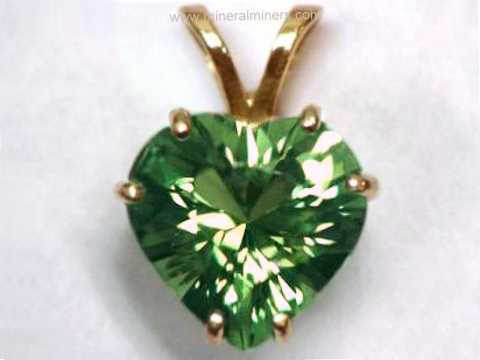 The fine quality gem in this beautiful peridot pendant is completely natural - it was not heated or treated in any way, and it was very well faceted with very good brilliance. See also a side view photo of this natural peridot jewelry design. This beautiful peridot gem faces up eye clean with fine green natural color. This 14k gold peridot pendant is set with a 10.1mm round faceted natural peridot gemstone weighing 4.16 carats. 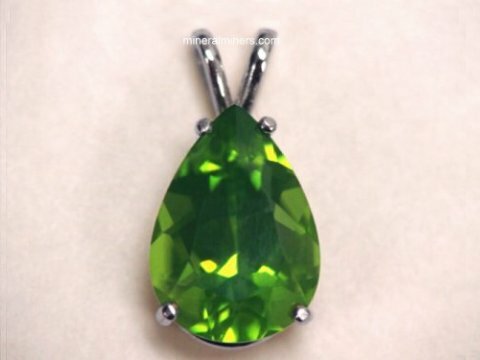 The superior quality gem in this beautiful peridot pendant is completely natural - it was not heated or treated in any way, and it is very well faceted with very good brilliance. This fine quality peridot gem faces up eye clean, with some very faint natural inclusions that are only visible under very close inspection with bright illumination This natural peridot jewelry design is set in solid 14k yellow gold. This 14k gold peridot pendant is set with a 9mm round faceted natural peridot gemstone weighing 3.08 carats. The gem in this lovely peridot pendant is completely natural - it was not heated or treated in any way, and it is very well faceted with very good brilliance. This fine quality peridot gem faces up eye clean. This natural peridot jewelry design is set in solid 14k yellow gold. This 14k yellow gold peridot pendant is set with a perfectly calibrated 9.0mm heart shape natural peridot gemstone weighing 2.85 carats. The gem in this beautiful peridot pendant is completely natural - it was not heated or treated in any way, and it is very well faceted with good brilliance. This fine peridot gemstone is faces up completely eye clean. It will make a very beautiful peridot necklace! This 14k white gold peridot pendant is set with a 3.36 carat natural peridot gemstone. The gem in this beautiful San Carlos peridot jewelry design is completely natural - it was not heated or treated in any way. This rare quality San Carlos peridot gem is eye clean! This fine gem is very well cut with good brilliance from natural peridot rough with fine dark green natural color that was mined on the San Carlos Indian Reservation, Arizona, USA. It will make a very beautiful peridot necklace! 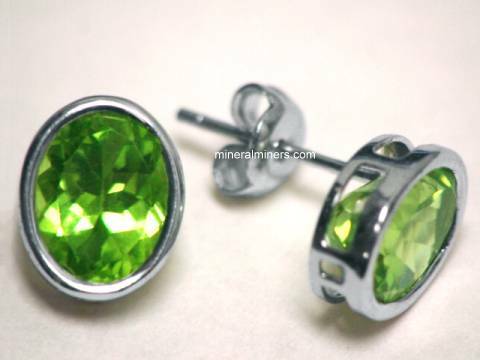 Genuine peridot earrings with 4.12 carats total weight peridot and 0.05 t wt diams. Each of these lovely peridot earrings is set with a 9.0mm x 7.0mm pear shape faceted gemstone of superior quality natural peridot and a 2mm full cut round brilliant diamond. These beautiful peridot gems are unheated and untreated. This pair of genuine peridot and diamond earrings was crafted in 14 k yellow gold. This 14k yellow gold peridot pendant is set with a 4.76 carat oval faceted natural peridot gemstone. The gem in this beautiful San Carlos peridot jewelry design is completely natural - it was not heated or treated in any way. This rare size San Carlos peridot gem faces up eye clean with very faint natural inclusions that are only faintly visible under close inspection. 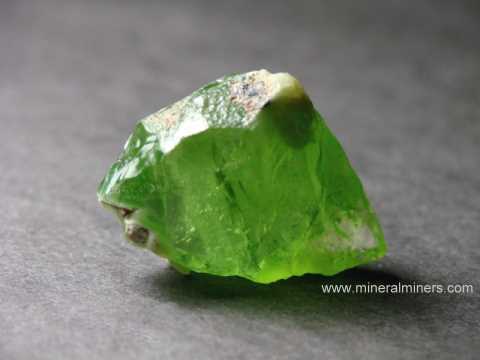 This gem is very well cut with good brilliance from natural peridot rough with fine rich green natural color that was mined on the San Carlos Indian Reservation, Arizona, USA. This 14k white gold peridot pendant is set with a 4.59 carat oval faceted natural peridot gemstone. The gem in this beautiful San Carlos peridot jewelry design is completely natural - it was not heated or treated in any way. This rare size San Carlos peridot gem faces up almost completely eye clean with just a few tiny natural inclusions that are faintly visible under close inspection! 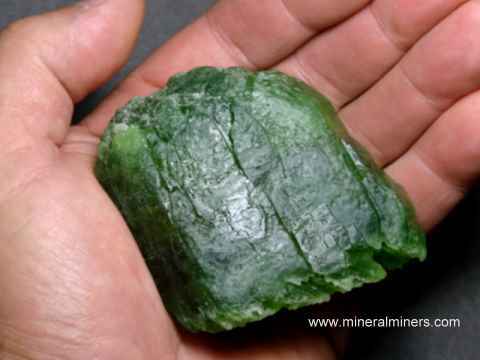 This gem is very well cut with good brilliance from natural peridot rough with fine rich green natural color that was mined on the San Carlos Indian Reservation, Arizona, USA. This custom designed and constructed (similar to ring perj271) 14k yellow gold peridot pendant is set with a very large cabochon cut natural peridot, mined in Pakistan. This gemstone weighs 38.7 carats. This peridot gem faces up a beautiful medium green with numerous faint natural inclusions eye visible with close inspection. The gem in this beautiful peridot pendant is completely natural - it was not heated or treated in any way, and it was very well shaped and polished with good reflectivity. This amethyst with peridot pendant was handcrafted in sterling silver and set with a 6mm round faceted gemstone of natural amethyst, and with a 6mm round faceted gemstone of natural peridot. This natural peridot pendant was handcrafted in sterling silver and set with three faceted gemstones of natural peridot measuring from 4mm round up to 7x5mm oval. This natural peridot pendant was handcrafted in sterling silver and set with a faceted 5mm round gemstone of genuine peridot above a 10x5mm marquis shape genuine peridot gem. This natural peridot pendant was handcrafted in sterling silver and set with three faceted gemstones of natural peridot measuring from 4mm round up to an 8x6mm pear shape. This peridot with prehnite pendant was handcrafted in sterling silver and set with four oval shaped cabochon gemstones of natural prehnite measuring 9x7mm, and with a 6mm round faceted center stone of natural peridot. This beautiful peridot pendant was handcrafted in 925 sterling silver and set with a 10x6mm pear shaped faceted gem and three 3mm faceted rounds. All four gems are natural untreated peridot. peridot gems weigh 4.75 carats total weight! 5 carats total weight peridot gemstones! This natural peridot pendant is set with six faceted pear shape gems measuring 7x5mm surrounding a 5mm round faceted peridot gem in the center. 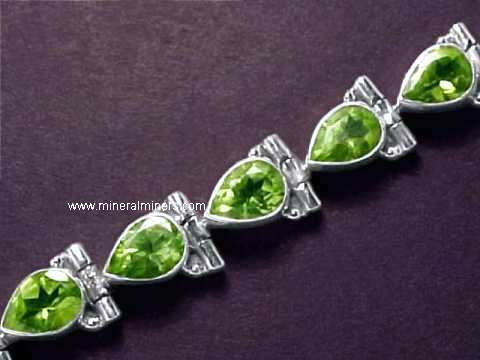 This genuine peridot jewelry design was handcrafted in 925 sterling silver. This beautiful peridot pendant was handcrafted in 925 sterling silver and set with two 10x5mm marquis faceted gems and two 6mm faceted rounds, weighing 4 carats total weight. All four gems are natural color peridot. This beautiful peridot pendant was handcrafted in a solid 925 sterling silver design and set with five 5mm round faceted gems of natural peridot! These genuine peridot gems are all unheated and untreated. This colorful pendant was handcrafted in sterling silver and set with a 7mm round faceted gemstone of natural peridot along with a lightly included 18x13mm cabochon gem of natural amethyst with beautiful deep purple natural color. 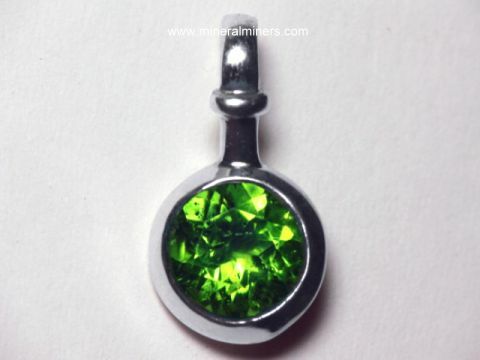 This wonderful multi-gemstone with peridot jewelry pendant was handcrafted in 925 sterling silver and set with an assortment of very beautiful faceted gemstones of the following natural materials: eight 3mm round amethysts, seven 6x4mm pear shape red garnets, and seven pear shape peridot gemstones measuring 6x4mm. This large peridot pendant was handcrafted in 925 sterling silver and set with four faceted gems of natural peridot. At the top is a 10x5mm marquis shaped gem, with two 8x5mm pear shaped gems in the middle, and with a 9x6mm pear shaped gem dangling down below. This colorful pendant was handcrafted in sterling silver and set with three faceted gems: a 7mm round natural amethyst gemstone, an 11x7mm pear shape sky blue topaz, and a lightly included 10x8mm oval shaped natural peridot gem weighing 3 carats in the center of this beautiful pendant. This beautiful sterling silver peridot jewelry pendant was handcrafted and set with six faceted marquis shape natural gemstones of peridot, citrine, and smoky quartz. The peridot and citrine gems measure 10x5mm, and the smoky quartz gems are 12x6mm. Natural peridot pendant with 8.5 carats total weight genuine peridot gemstones! This elegant peridot pendant was handcrafted in 925 sterling silver and set with seven superior quality faceted gems of natural peridot weighing 8.5 carats total weight! This flower design peridot pendant is set with a 5mm round gem at the bottom, and with a 3mm round gem above surrounded by five faceted 8x6mm ovals. See also another view of this natural peridot jewelry design. This beautiful sterling silver peridot pendant was set with five faceted gemstones of natural peridot. There are two pear shape peridot gems measuring 10x7mm and weighing 2.25 carats each! This genuine peridot jewelry design is also set with a 7mm round peridot gem, a 5mm square faceted peridot gemstone at the bottom, and a 4mm round faceted peridot gemstone up above. This genuine peridot jewelry pendant was hand crafted in 925 sterling silver. This extra large size sterling silver pendant is set with lightly included gems of all natural peridot & amethyst! This handcrafted pendant has eight 5mm round faceted peridot gemstones surrounding a 9mm round faceted amethyst gemstone at its center. This pendant was then set with eight 9x6mm pear shape amethyst gemstones around the outside! This beautiful amethyst & peridot jewelry design was hand crafted in 925 sterling silver. This peridot pendant was handcrafted in 925 sterling silver and set with three genuine peridot faceted gemstones: a 4mm round gem at the top, a 6x4mm pear shape gem at the bottom, and a beautiful 8mm trillion cut gem in the center! The gems in this wonderful peridot pendant design are completely natural - they have not been heated or treated in any way. These gems are well cut with good brilliance from natural peridot crystals that were mined in Pakistan. The fine quality 8mm trillion cut peridot gem faces up clean, with very faint natural inclusions visible only under very close inspection! 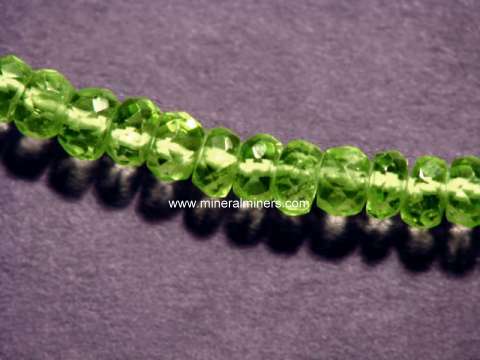 See a side view image of this natural peridot jewelry design. This unique peridot pendant was hand crafted in 925 sterling silver and set with a naturally terminated gem-grade peridot crystal measuring 1/2 inch long and with a 10x8mm faceted peridot gem. The peridot gemstone is a fine quality eye clean gem with exceptional cutting and excellent brilliance. Natural peridot pendant with a peridot gem weighing 28.5carats! This sterling silver peridot pendant is set with a 28.5 carat natural peridot cabochon fashioned gemstone! The large size gem in this beautiful peridot pendant design is completely natural - it was not heated or treated in any way. 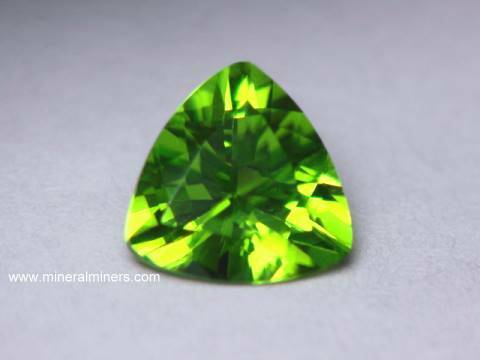 This gem is well fashioned with a good polish and brilliance from natural peridot rough that was mined in Pakistan, and it has a moderate amount of small but eye visible natural inclusions. 12 Natural peridot gems weighing 18.5 carats total gemstone weight! This genuine peridot necklace was handcrafted in 925 sterling silver and bezel set with 12 very well matched faceted gems of San Carlos peridot weighing 18.5 carats total weight. See another photo of this handcrafted peridot jewelry design. The gems in this beautiful peridot necklace are completely natural - they have not been heated or treated in any way. These superior quality gems are very well cut with good brilliance and they range from very faintly included to completely eye clean. These beautiful peridots were faceted from peridot rough mined on the San Carlos Indian Reservation in Arizona. See a full view photo of this natural peridot necklace. Item perj286a This genuine peridot necklace has 102 carats of natural peridot faceted beads that measure 5mm in diameter. Item perj286aa This genuine peridot necklace has 140 carats of natural peridot faceted beads that are gradational is size measuring 5.5mm at the clasp and increasing up to 7mm in diameter in the center of the necklace. 7mm San Carlos Faceted Peridot Necklace, 140 cts! Natural peridot pieces of superior quality with gem-grade transparency and beautiful green color (100% natural color) were ground and polished into tire-shaped beads and then drilled & strung in an 18 inch peridot necklace with a sterling silver clasp. The photo at left shows a close-up view of this natural peridot necklace. See also a full view of this natural peridot necklace. These beautiful necklaces of superior quality tire-shaped peridot beads make lovely gifts, and we are offering them as a special offer right now! We also have tire-shaped bead necklaces available in aquamarine necklaces and in tourmaline necklaces. We have a large assortment of other genuine peridot jewelry items in stock including peridot necklaces, rings, bracelets and peridot earrings in pure sterling silver and also in solid 14k gold. 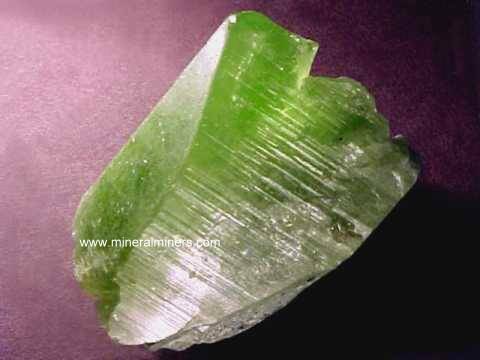 Please see the links below for natural peridot products including peridot crystals, mineral specimens and peridot gems! 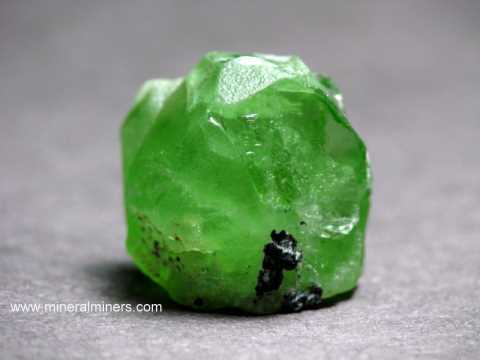 Information about genuine peridot and its history, physical properties, chemistry, occurance, and metaphysical uses is displayed on our peridot information page. To see more peridot photos, just select another linked image displayed below. Each of our peridot pendants is set with an untreated natural peridot gemstone! At this time, we have peridot pendants available with faceted natural peridot gemstones, and also with cabochon gems of natural peridot. Our peridot pendants are set in solid 14k gold, and also in sterling silver. 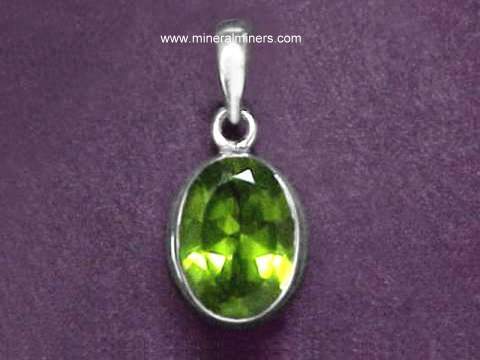 We have a large variety of peridot gemstone sizes and shapes available in peridot pendants. The gems in our peridot pendants were faceted from peridot crystals that were mined in Burma, in Pakistan, or on the San Carlos Indian Reservation in Arizona, USA. 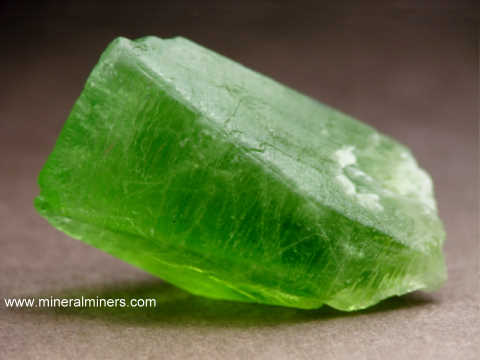 For more information about natural peridot and its history, physical properties, chemistry, occurance, and metaphysical uses be sure to see our peridot information page. 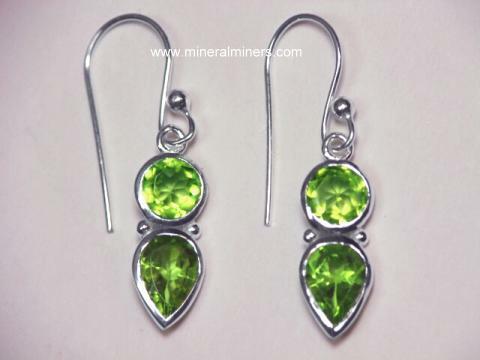 See also our page displaying genuine peridot gems, and our genuine peridot earrings. 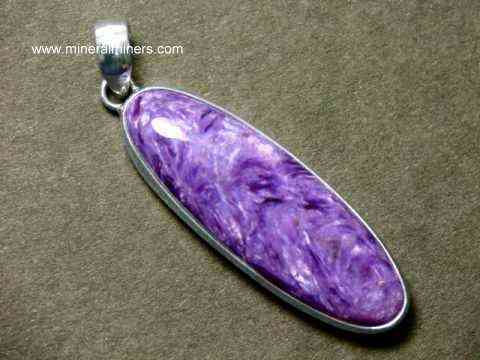 We also have many other kinds of natural gemstone pendants available. 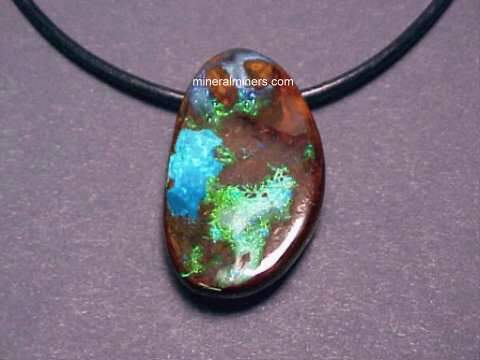 Be sure to see our pages displaying natural opal jewelry designs with genuine boulder opal necklaces and opal pendants, and our genuine tanzanite jewelry items including beautiful tanzanite necklaces and many sizes of tanzanite pendants & a large selection of shapes and sizes in genuine tanzanite earrings. See also our pages displaying natural color change alexandrite necklaces and alexandrite pendants set in solid gold! 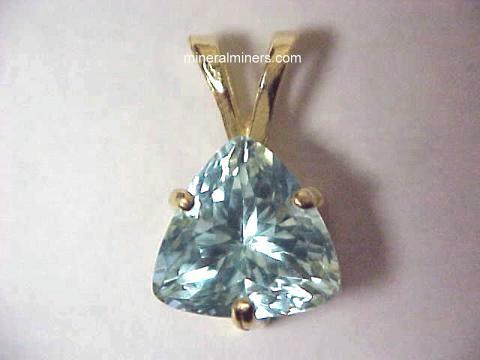 We have been mining for aquamarine, citrine, topaz and tourmaline in Brazil for more than 25 years, and we have a large variety of necklace and pendant styles & sizes available in natural tourmaline necklace designs including beautiful natural color green tourmaline necklaces and natural color green tourmaline pendants. In addition to our beautiful peridot pendants, we also have a large variety of styles and sizes in genuine aquamarine pendants, and our genuine emerald necklaces and emerald pendants are available in several different shapes and sizes. 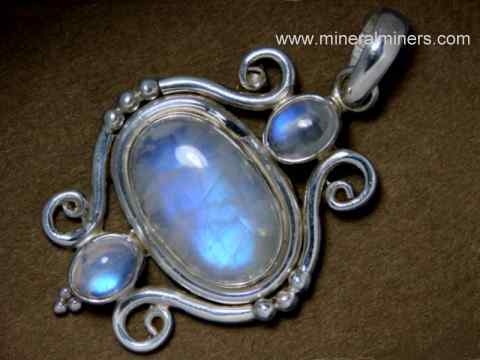 Our genuine moonstone necklaces and moonstone pendants are available as both blue-flash moonstone pendants and as rainbow moonstone pendants. 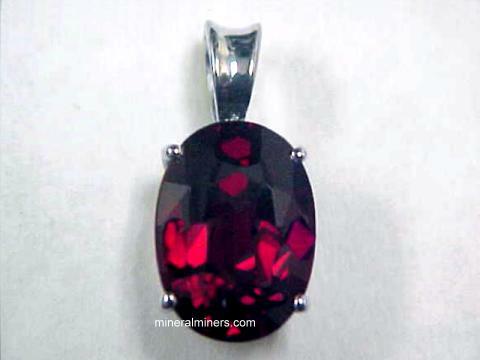 We have a variety of styles and sizes available of natural garnet necklaces in several different rare garnet varieties including tsavorite garnet pendants and mandarin garnet pendants. You can also see our entire inventory of round shaped natural gemstone bead necklaces & our faceted gemstone bead necklaces. 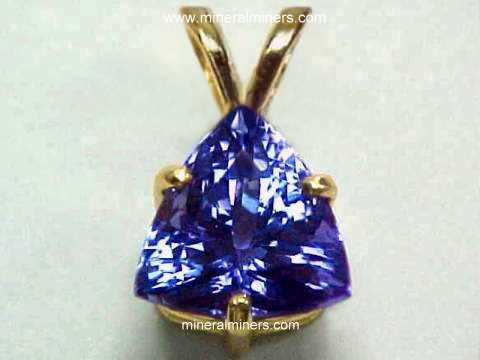 We have unique tanzanite pendants set with genuine tanzanites that are only found in Tanzania, Africa. Would you like us to inform you when we add on this page more 14k gold natural color peridot pendants and peridot pendants in sterling silver? We do have aditional peridot necklace styles in stock, and also peridot pendants with smaller and larger peridot gemstone sizes in stock, so be sure to let us know if you have any natural peridot necklace special requests. 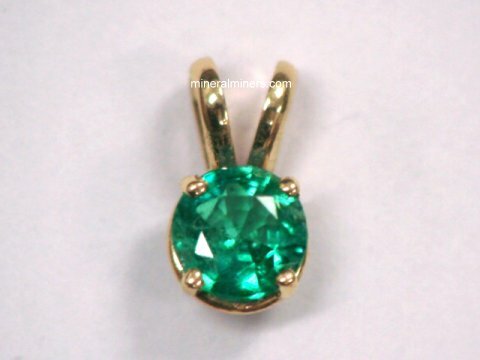 We have been mining for aquamarine, citrine, topaz, tourmaline and other gems for more than 25 years, and we do have a large variety of natural gemstone pendant designs available with many different kinds of natural gemstones. 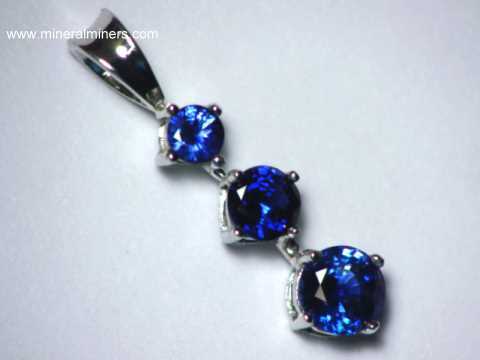 Our genuine sapphire jewelry designs are available in each of the natural sapphire varieties including genuine yellow sapphire pendants in 14k gold pendants and earrings, genuine pink sapphire pendants with 14k gold pendants and necklaces, genuine star sapphire pendants in 14k gold rings and pendants, genuine blue sapphire pendants with rings & pendants in solid 14k gold, and genuine white sapphire pendants in both white gold and yellow gold designs. 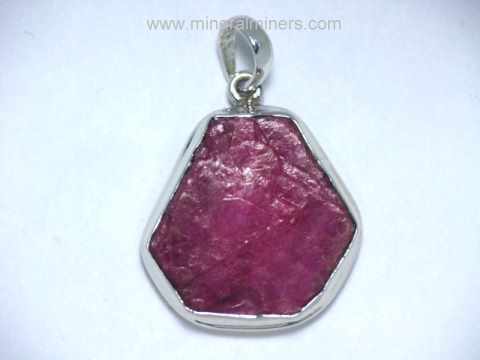 We have genuine ruby pendants available as well with ruby stud earrings & necklaces. See also some of our other natural gemstone pendant pages: our genuine garnet jewelry is available in all of the natural garnet varieties including the brilliant demantoid garnet pendants, the traditional deep red garnet pendants, the rare hessonite garnet jewelry used in Vedic astrology, the drusy green uvarovite garnet pendants, the beautiful orange mandarin garnet pendants, the purple-pink rhodolite garnet pendants, and our wonderful Merelani mint green garnet pendants (also known as tsavorite garnet pendants). Our natural color golden topaz pendants are available in solid 14k white gold and in yellow gold. 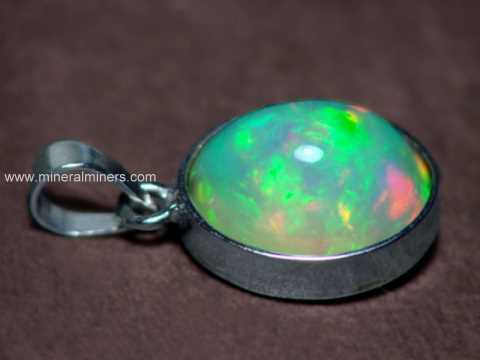 We also have pages displaying genuine moonstone pendants with both rainbow moonstone pendants and blue-flash moonstone jewelry items, genuine larimar pendants with wonderful blue-green shades, genuine pietersite pendants and tigers eye pendants mined in Africa. Our natural color amethyst pendants are available with many different shapes and sizes of natural amethyst gemstones to choose from. We have several different varieties of natural agate pendants including natural lace agate pendants and natural fire agate pendants. See also our natural purple sugilite pendants in sterling silver, our natural blue-green amazonite pendants, and our natural purple charoite pendants. We have a selection of natural jade pendants as well as necklaces, rings and bracelets! Our genuine quartz pendants are available in all of the natural quartz varieties including natural smoky quartz pendants, natural quartz crystal pendants, natural golden rutile in quartz pendants, and natural rose quartz pendants in necklaces, rings and bracelets with a great variety of styles and sizes to choose from. 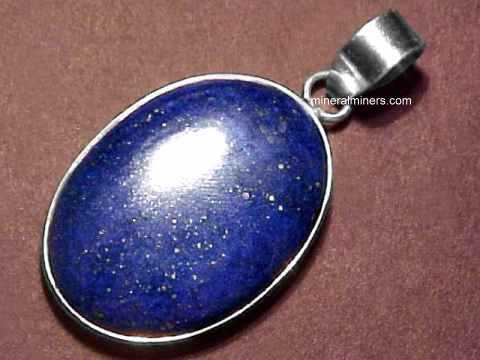 We have a very large selection of beautiful citrine pendants, and we have fine quality natural lapis lazuli pendant designs handcrafted into unique pendants from natural lapis lazuli rough mined at the original mines high in the mountains of Afghanistan. Our genuine moldavite pendants are set with natural moldavite pieces found near the Moldau River in the Czech Republic. We have several varieties of natural jasper pendants available. 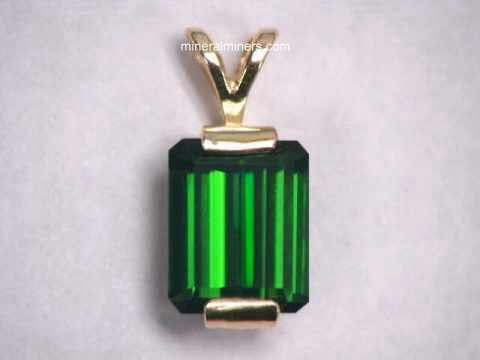 Our natural malachite pendants have wonderful natural shades of rich green color. We also have several different styles and sizes of natural labradorite pendants with beautiful irridescent colors. 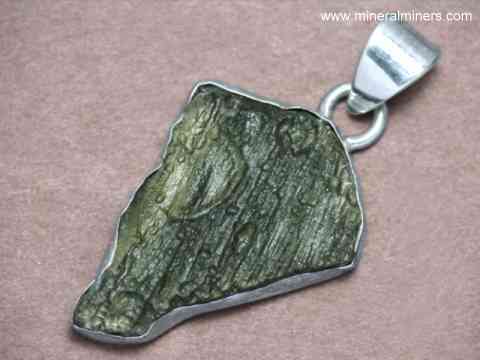 Our genuine meteorite pendants are available in handcrafted designs in pure sterling silver! 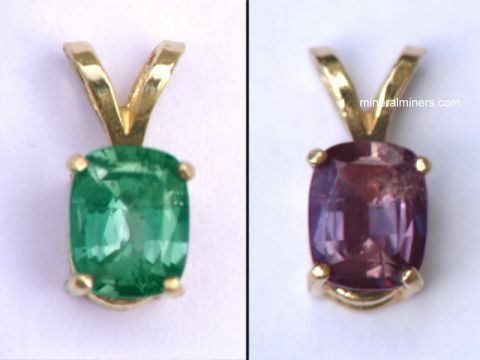 We also have natural color-change alexandrite pendants. Our selection of natural color imperial topaz pendants & golden topaz pendants are available in solid 14k white gold pendants. We have a very large selection of natural color green tourmaline pendants in all shades from light mint greens to very rich dark greens! We also have a variety of genuine pink tourmaline pendants in stock. 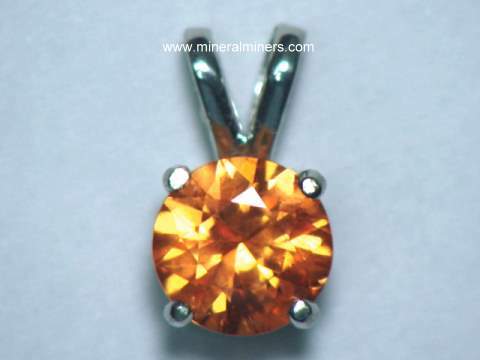 See also our natural color sunset tourmaline pendants with beautiful peach-pink and magenta hues! See our pages with links to natural gemstone pendants and other jewelry of all gem varieties! 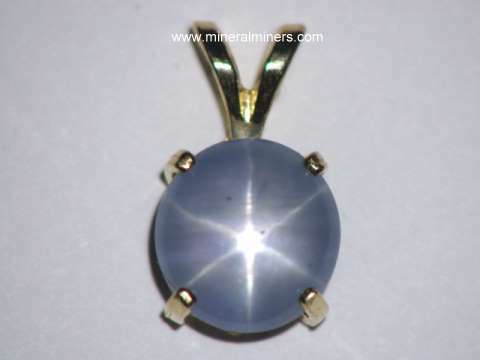 See the links below for a selection of superior quality genuine gemstone pendants.